The US Senate passed a controversial “fast-track” trade bill in a 62-37 vote on Friday. 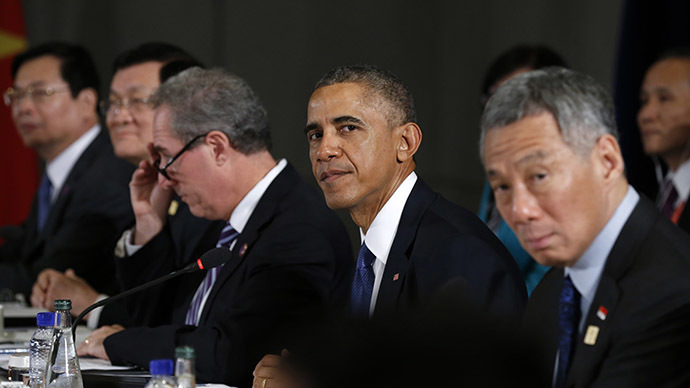 It is a key part of President Barack Obama's pivot to Asia, which aims to counter China's rising economic and diplomatic power via the Trans-Pacific Partnership (TPP). But some House Democrats have expressed worry about the bill's impact on jobs and the environment, while some conservatives oppose giving the White House more power. Senate votes 62-37 to pass trade fast track bill. A hard-fought win for Pres Obama. But prospects in the House even more difficult. The main aim of fast-track, which would initially have a three-year term, is to implement the Trans-Pacific Partnership – a trade deal that would link 40 percent of the world's economy. The proposed partnership has been a source of intense debate in Washington and throughout the United States – and Obama's Democrats are divided on the matter.